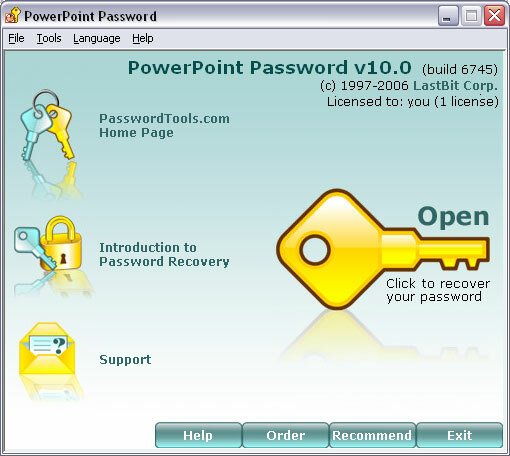 PowerPoint Password is a password recovery tool, which comes in very handy if you forgot, lost, or misplaced your password for PowerPoint presentations (*.ppt, *.pps files). PowerPoint password protection is based on strong crypto algorithms, so password recovery is a complex task. PowerPoint Password uses various recovery methods: Plain Dictionary and Hybrid Dictionary attacks, Brute-Force attacks, and Smart-Force (TM) attacks.